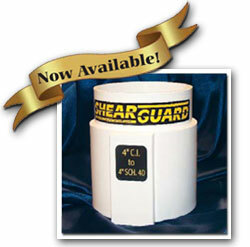 Indiana Seal is the exclusive manufacturer and distributor of Shear Guard® by Onset. One of the major challenges every utility contractor faces today is the cost related to the failure of flexible connectors. As a matter of fact, most jurisdictions are requiring protection for flexible couplings from shear failure. 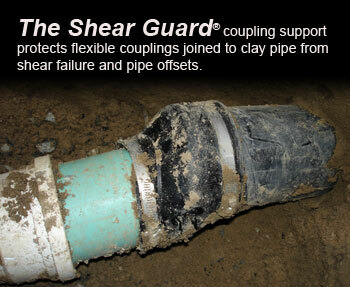 The Shear Guard® coupling support was developed as simple and inexpensive solution to address this challenge. Use Shear Guard® coupling supports to avoid the costs associated with remedial work. 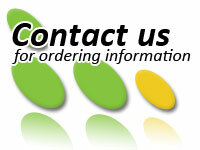 Onset Pipe Products, Inc. is committed to manufacture products with the underground contractor in mind. We are dedicated to the development of innovative products that address the everyday challenges within the utility industry. from Onset Pipe Products, Inc.
"That's trouble," he said. "We can't have sewer leaking anywhere." Every day, Wastewater Management video cameras troll Denver's 1,900 miles of sewer lines, inspecting century-old vitrified clay pipes and brand new PVC pipes. The goal is to scope every line every two years. No line — old or new — is immune to damage caused by roots, settling dirt and undetected leaks that conspire to disrupt the dirty traffic in Denver's oldest infrastructure. 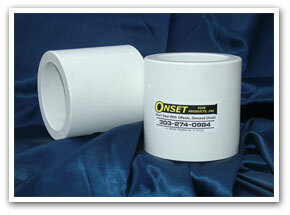 © Onset Pipe Products, Inc. All rights reserved.